Hit the Light is the kind of game that you would want to play anywhere and at any moment. Whether you simply want to have a little fun or are hoping to excite your mind, you will find solace and entertainment in this game. The rules are simple – every level in Hit the Light is a picture that is made out of neon lights. As a player, you are required to demolish the pictures using a variety of tools. Remember, all of the pictures have different attributes and characteristics. They are not the same. You have many options for destruction. For instance, you can use a bomb to break everything within the parameter of destruction or a ninja star to destroy everything easily. You can also bounce the neon lights off the wall or ricochet them. Typically, playing a brick game, you throw a ball at a wall, smash it and get your ball back. However, Hit the Light is a little different. It is only represented by neon glowing lights. You will have limited tracks that you will use to break the lights. The game surely offered the puzzling fun that you have been looking for. Hit the Light comes with a variety of amazing levels. They are so satisfying especially with the sound of breaking glass that comes with each level. Every bit of action will get you hooked to the game. You will want more and more of the action. The levels are definitely not too challenging but they are not too simple at the same time. The game is in between in terms of action because you will have to work for every light that you hit. 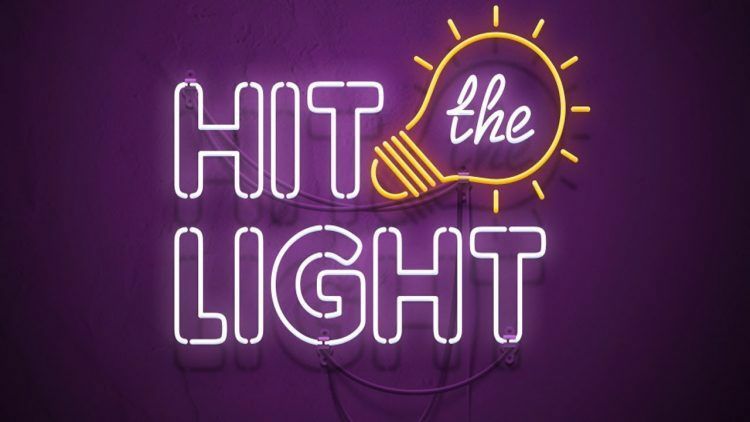 Hit the Light gives you a great dopamine fix that you will truly enjoy. You will be given three different types of weapons to use. To maximize their use, find out what each weapon does. The triple ball will shoot out three different neon light at a time. On the other hand, the shuriken does not bounce back after hitting the light. Instead, it breaks through a wall. Lastly, the bomb will explode and destroy everything around it. As you continue playing the game, you will encounter colored globes at one point. These globes are accompanied by multiplier symbols and hitting them will multiply your shot. As such, you will be able to destroy multiple lights quickly and easily. Do not share anything that you come across. Hit the Light offers everything from colored globes to X2 symbols. Ensure that you hit them all in order to progress quickly through the levels. Hitting all the balls will also add up your final points. It is important to take note of this when playing – first, use the bombs then ninja stars and finally the balls. If you use the weapons in this manner, it is safe to say that you will never need gems. Go to the search box in Bluestacks and type “Hit the Light” without the quotes, of course. That is it! You can now enjoy your freshly installed copy of “Hit the Light” on your favorite PC!